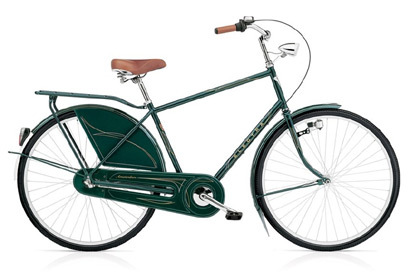 Now I need to break the news to my wife that there's going to be another addition to our family -- the Amsterdam Classic. Wow! An amazing tribute to old-school simplicity and style! I'm still riding my 40-pound Huffy 18-speed mountain bike from Toys R' Us that I got when I was 12 years old. Okay, so maybe I'm not actually riding it--it's hanging upside-down from my garage ceiling.